What’s Hot In The Market? Digital transformation is about more than simply shifting workloads into the cloud or issuing Internet of Things (IoT) devices to your staff; it’s about disrupting business processes for innovation, better productivity, and elevated customer experiences. Enterprises should expect their traditional hub-and-spoke networking approach won’t support this new digital existence. Software-defined wide area networking (SD-WAN) is offering the necessary network upgrades, and with this new technology comes a need to address SD-WAN security. In many situations, the network team gets excited about the range of benefits they can expect with SD-WAN: the ability to segment network traffic according to the critical nature of the transmission, improved visibility, and control, scalability, agility, and flexibility. Some enterprises report lower WAN costs as they shift traffic from more costly multi-protocol label switching (MPLS) pathways to public internet for applications that don’t require real-time connectivity, such as email or social media messaging. What’s often forgotten in the push to implement SD-WAN and gain these benefits is a close look at SD-WAN security. Once the solution is in the process of being deployed, gaps begin to become evident in the security side of the implementation. Part of the issue is that many of the providers supplying SD-WAN don’t offer adequate security for this level of networking. They may only support stateful security and internet protocol security virtual private networks (VPNs). To address the limited SD-WAN security, enterprises are adding security tools post-deployment. Actions such as adding on an additional firewall or networking gear with IPS isn’t adequate for the level of security necessary across the network. For instance, SD-WAN is often limited to Layer 3 controls, while more advanced controls are not provided, such as Layer 4 and 7 for URL filtering and application inspection. 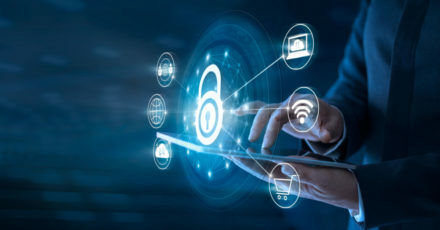 Enterprises may consider adding a security overlay, but this can be challenging because they may not have adequate resources to launch and fine-tune this type of technology, particularly if it needs to be added at a branch location. In addition, legacy security features may not have the ability to adapt to SD-WAN’s dynamic flexibility and elastic architecture. The elements of native SD-WAN security: When evaluating SD-WAN solutions, there are a few items you need to ensure are included in the option you select. Next-generation firewall functions, with intrusion prevention system (IPS) inspection, flexible VPN, web filtering, anti-malware and sandboxing. A centralized method for collecting and analyzing threats. An interconnected security deployment across systems. Integration between security tools for advanced monitoring and detection. Ability to leverage all security technology to address threats at digital speeds with a dynamic approach. All SD-WAN solutions are not created equal, which becomes more evident as you examine SD-WAN security. Don’t make the mistake of being forced to patch together adequate security when you’re already well into deployment and implementation. Contact us at Truth Comm for more information about SD-WAN security. This won’t be a sales call. Our focus is educating you so you can make the best decision for your business. Stay up-to-date on our telecom news and latest discoveries.